Often in life we start new chapters. These milestones are times of exhilaration and anticipation of experiences in which we are not necessarily in control. “Positive believing equals positive receiving” has always been my mantra. In two days I will have achieved a milestone in my life. A goal always present, always on hold, since the day I dropped out of college at Humboldt State University in 1974. It was the first day of my third quarter of college when I called my mom and told her I was moving to Montana with three of my friends. As it turned out, we decided if we could move to Montana, we might as well move to Hawaii! So we did! My mother let me keep the $250 check she mailed to me for books a few days before. I told her, “Experience is the best teacher, I will finish college later.” In two days I will fulfill that promise to my mother, and to myself. I have been busy student teaching as part of my internship for the last 16 weeks. For ten weeks I taught 8th grade Social Studies, and for six weeks I have been teaching 8th grade Science. This coming Friday is my last day. I have been an apprentice working with masters of the trade at Jefferson Junior High School: Mrs. Tracy Worthington (Social Studies) and Mrs. Jennifer Szydlowski (Science). To these two women I am forever grateful for their expertise, patience, graciousness, and support. This experience is one I will never forget. I love teaching, and they have contributed to this passion. I share all of this here because I have had to suspend much of my expedition planning. I contacted a few potential sponsors over Thanksgiving break (I had five days off) only to be informed by one that, “Once you get this initial trip under your belt and begin to cultivate a sizable following on your blog, social media pages (you would need to have your own), aggregate additional sponsors, and generate significant media attention (both for yourself and your cause), we would be more than happy to revisit a sponsorship with you for future expeditions or projects of this type.” This response was from DeLorme inReach with regard to their satellite tracking and communication device and sponsorship I requested from them. I know that I need to start small and local, but I was thinking more “priority first.” A satellite tracking and navigation device is high priority for my trip. Fair enough. I have not had time to promote myself, which does not come naturally to me anyway. However, after Friday I am free from school and work obligations until January 2. I have reached a major confluence in life where my life lived thus far will join with my future, bright and mysterious. Saturday I am attending a Missouri Environmental Education Association conference held at the University of Missouri. I hope to get ideas and network with potential innovators regarding education. I was honored to attend Missouri River Relief’s Education Committee meeting the other night. Great things are happening with their organization’s river education component. I am proud to know them and help promote their mission and vision. One other thing: my expedition story will be published any day on the University of Missouri’s home page as a banner story, written by Nancy Moen, who is retired from MU Publications and now a free-lance writer. I will be posting on this blog when that happens. MU’s chief photographer, Shane Epping, shot some photos of me on the river a while back to accompany the story. We were blessed with phenomenal lighting just before sunset. Shane is also best friends with our beloved river rat Beatriz Jean Wallace who has begun a new chapter in Pittsburgh, Pennsylvania recently. The Missouri River is all about relationships and community and family. 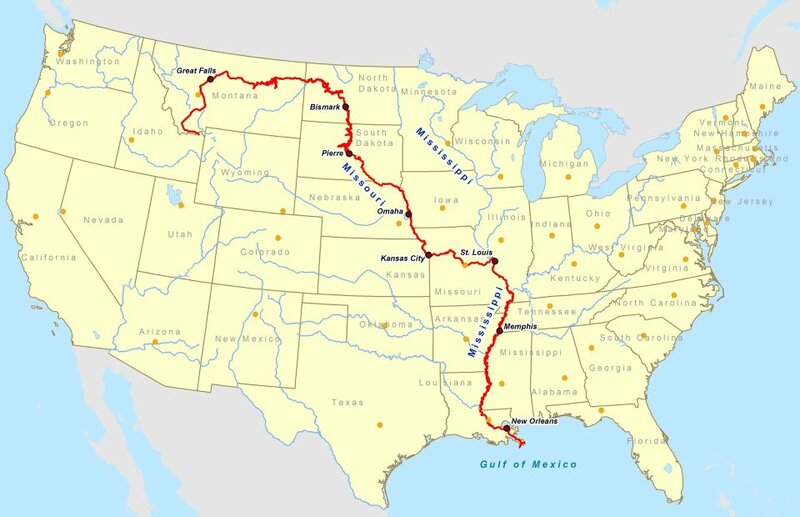 Anyway, I write this because I can’t sleep at night knowing about all of the things I have to do, people I have to contact, knowledge I must learn, and information I want to share as I begin some serious planning for this epic journey down the Big Muddy. I feel I have reached a confluence if life, the merging of my life thus far and the bright and mysterious future ahead. I have so many things racing through my head.